The hard work done by the BEL-FRPD Gateway JV was recognized on Tuesday evening at the Vancouver Regional Construction Association (VRCA) 2018 Awards of Excellence. 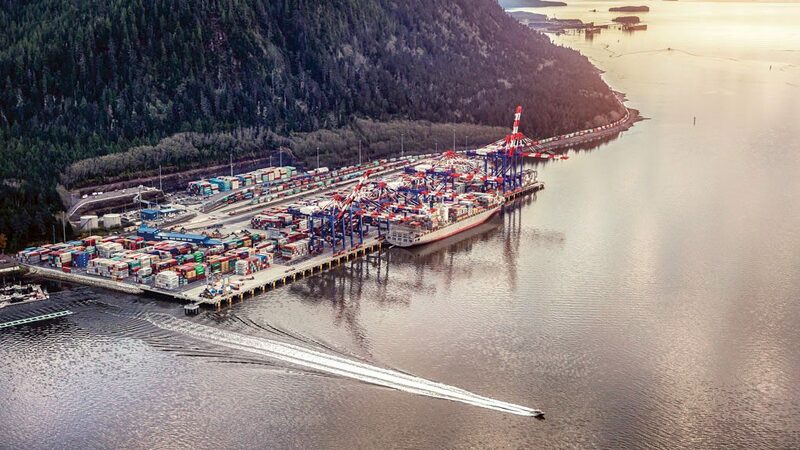 Fraser River Pile & Dredge Inc. and BEL Contracting, won silver in the over $50 million category of the VRCA awards for their performance on the Fairview Container Terminal Phase 2 North Expansion. The scope of work for BEL Contracting involved blasting rock from the mountain behind the terminal and using this crushed rock to fill in a portion of the shore, in order to expand the facility. The project was constrained by ongoing operations at the facility while construction was underway; strong communication between all parties was imperative to project success. Contributing to the success of this project were local first nations workers who accounted for 40% of the onsite manhours. This act of social responsibility was recognized by the judges in their closing remarks. A full article (link below) was published at the Journal of Commerce.